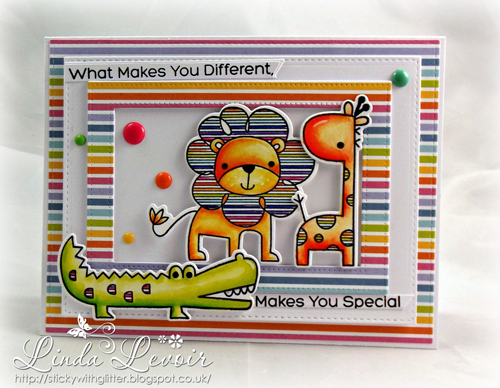 The adorable Wild About You stamp set features a collection of safari animals with lined detailing that pairs perfectly with Linda's striped (and colorful) layered background. What's cuter than an adorable little critter peeking over a sentiment banner? Three adorable critters peeking over a sentiment banner! 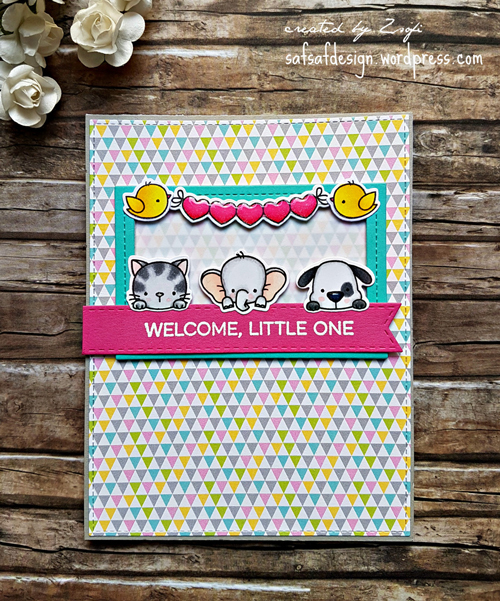 Zsofia's bright, happy colors and cute images really make this sweet baby card as cute as can be. 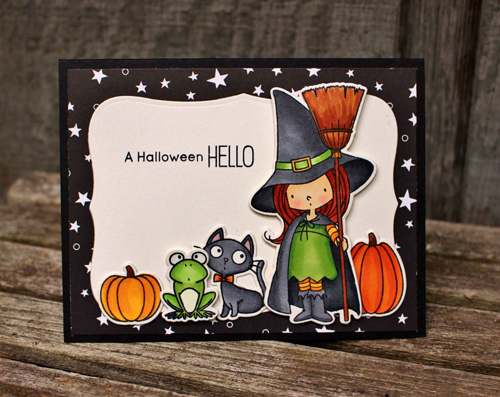 The images in the Witch Way is the Candy stamp set are so fun to color! Theresa did an amazing job coloring with her markers - gorgeous shading provides some really great depth and dimension on her Halloween scene. Who doesn't love a pink dinosaur? 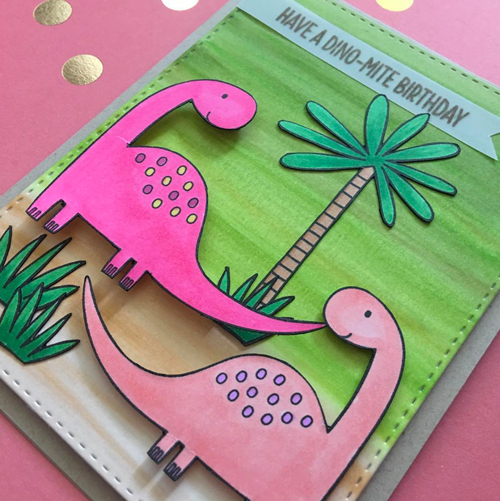 We love the bright color palette Karmen chose for her card. Forget earth tones and muted shades - she went bold and colorful, and it's dino-mite! A cloud design created with purple ink is an unexpected color choice, and it looks great! 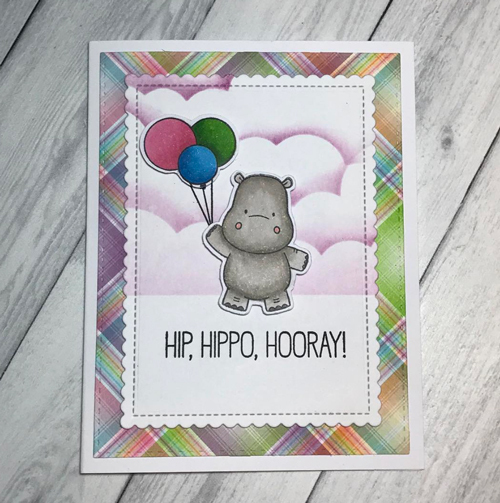 The soft gray colors on the hippo image and the plaid pattern under the panel tie everything together on this cheerful card design. I really like these cards, all of them. All of the focal images were set off perfectly by their mats and backgrounds. Very nicely done. all of these cards are outstanding.. congrats to everyone on being Spotted. Beautiful cards everyone! Congrats for being Spotted! Lovely cards, everyone. Could not pick a favorite...they're all great! Congrats!